Chulalongkorn University (commonly abbreviated as “Chula”) is the oldest university in Thailand and has long been considered the country’s most prestigious university. It now has nineteen faculties and institutes. Regarded as the best and most selective university in Thailand, it consistently attracts top students from around the country. It is named after King Chulalongkorn(Rama V), and was established by his son and successor King Vajiravudh (Rama VI) in 1917 by combining the Royal Pages School and the College of Medicine. Its campus occupies a vast area in downtown Bangkok, close to the popular teenagers’ hangout, Siam Square, and adjacent to the most prestigious and private sports club, The Royal Bangkok Sports Club. 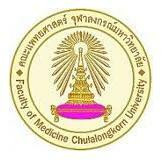 The symbol of the University is the Phra Kiao, a royal insignia. Diplomas were traditionally handed out at graduation by the King of Thailand, created and begun by King Prajadhipok (Rama VII). But at present, KingBhumibol Adulyadej (Rama IX) delegates the role to one of his daughters, Princess Maha Chakri Sirindhorn. During the years 1973–1977 Princess Maha Chakri Sirindhorn was a student at the University, becoming the first member of the Thai Royal Family to graduate from a Thai university. Prior to that, Thai royals had always studied abroad. powers (“Siam” became “Thailand” in the year 1939). Thus King Chulalongkorn (Rama V) has royal policy to strengthen and improve government so that the country could successfully resist the tide of colonialism. One of the major parts of the policy, which would later prove to be deep-rooted and highly effective, was to improve the Siamese educational system so as to produce capable personnel to work in both the public and private sectors. As a result, a school was founded in 1871 at the Royal Pages Barrack within the Grand Palace compound. Later on, in 1882, King Chulalongkorn developed this school and gave it the name of “Suankularb”. In the same year, the King also established other schools, namely the Army Cadet School, the Cartographic School, the School for Princes, and the School for Dhamma Studies. meet the expanding needs of the kingdom. Such disciplines included law, international relations, commerce, agriculture, engineering, medicine and teacher education. Thus King Vajiravudh ordered that the Royal Pages School become an institution of higher education and gave it the name the “Civil Service College of King Chulalongkorn” on January 1, 1911. When it was first founded, the university had 380 students taking classes in four faculties which were located in 2 campuses. The Faculty of Medicine was located at Siriraj Hospital, while the Faculties of Public Administration and of Engineering were at the Administration Building and the Faculty of Arts and Science was located at Prince Vajirunhis’ palace. The latter three faculties were in Patumwan district. The Law School was under the responsibility of the Ministry of Justice until the university was ready to take over, and the Teachers’ Training School was handed over to the Ministry of Education. The categories of students were the same as in the old Civil Service College. In 1923, the university accepted high school graduates to study in the Faculty of Medicine, which was being supported by the Rockefeller Foundation to organize a Bachelor’s Degree program. Five years later the first group of 18 graduates finished their studies, the first to be awarded degrees in the kingdom.